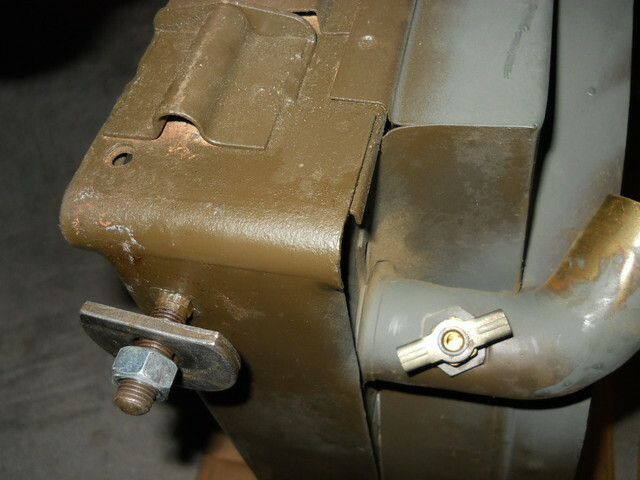 The M38 ORD9 page 95 calls for mounting the radiator with WASHER, FLAT, extra-hv series, part number 446485. 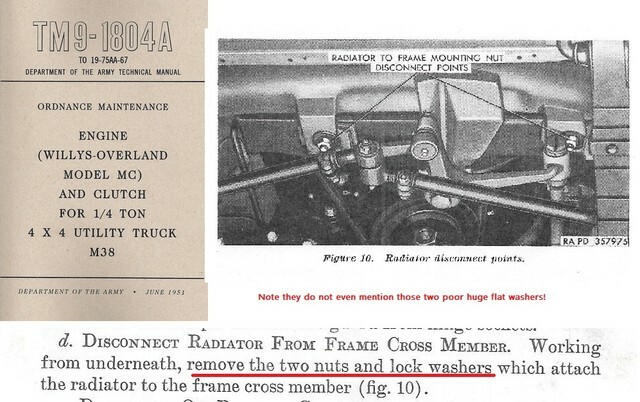 Figure 41 on page 144 of TM9-8012 doesn't clearly show if the washer is cut like mine, and the installation procedure on that same page seems to say the washer is 11/32nd's thick (that's a darn THICK washer). It doesn't seem that thick in the figure to me. Anyway, my washers measure 5/32's thick so I'm thinking they aren't right? They do look special made (not hack-sawed off). 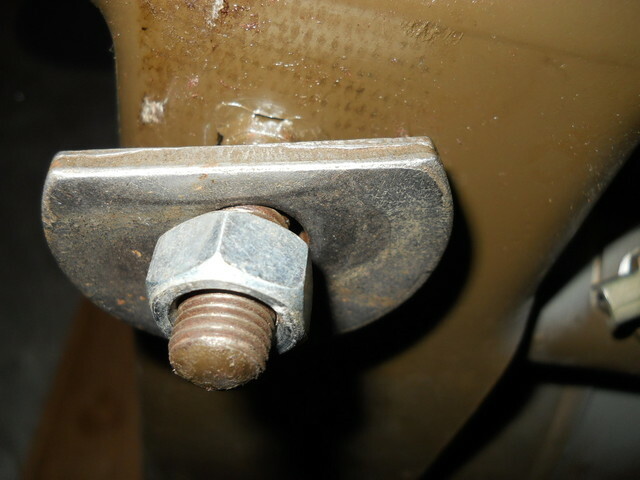 Does anybody have a photo and maybe measurements of the correct washer (is it really 11/32nd's THICK? ), along with a pointer on where to get a pair? As always, thanks! And while I'm here, I might as well ask about the CUSHION, rubber, radiator to frame, WO-A4413 and WO-A4414 for these washers, also on page 95 in the ORD9. One is 3/16 thick and the other is 1/8 thick, The ORD9 says both are "optional" with the other. Does anybody know what that means? Use both? Use one, or the other, but not both? They both say "optional" with the other. Does anybody know what that means? A more common way to express that is: "Either may be substituted for the other!" or "Either is a suitable substitute for the other!" The above is not the same as: "This part is superseded by _______!" You are expected to use only the newer part. Nor is the above comments the same as: "Use this part until stock is depleted then use this part!" That 11/32" refers to the OD of the washer. ID is 7/16" but thickness is not stated in either 8012 or the ORD 9. The ORD 9 does describe that washer as "Heavy series" which would probably be twice the thickness of the Light Series or about 0.120 to 0.150. The one shown in fig 41 looks very round to me and both as shown in the ORD 9 are clearly round. How can the OD of the washer be 11/32 (= 0.34375) and the ID be 7/16 (= 0.4375)? And the mounting holes on the two tabs welded to the cross member are more than an inch in diameter (1-1/8 inch to be exact). It seems to me that the washer OD has to be bigger than 1-1/8 just to hold the radiator down? Maybe I'm missing it. Maybe the 11/32 is a typo and should be 1-11/32? Maybe somebody has a photo (or drawing?) of the real thing to clear this up? I agree that my "cut" washers aren't correct and should be round (previous owner assembled the radiator). Yes, I understand the terms "substitute", "superseded by", and "use until exhausted". Never seen the "optional with the other" before. Taken literally it tells me I can use either or both at my discretion. The specific question is: Which CUSHION or CUSHIONS should be used on the M38? The TM says nothing about picking one or the other, or using both because it depends on how the radiator might need to be fitted to the mount (or some other reason). I was just looking for some advice. Taken literally it tells me I can use either or both at my discretion. The specific question is: Which CUSHION or CUSHIONS should be used on the M38? The TM says nothing about picking one or the other, or using both because it depends on how the radiator might need to be fitted to the mount (or some other reason). If you read your post back to yourself you will realize you already answered your own question!!!! Take a peak in the ORD 9 again at the cushion listing and look way over to the left column where it says both originated on the G503 . So does it make any difference which of the old MB cushions you use? Yes it may depend on which one fits your installation best. Notice I said best because it is quite possible on many old deformed units that neither may fit well. How can the OD of the washer be 11/32 (= 0.34375) and the ID be 7/16 (= 0.4375)? I didn't say it was correct. I said the 11/32's does not refer to thickness. It was meant to refer to OD. Maybe the 11/32 is a typo and should be 1-11/32? There you go, you figured it out! I took the liberty to edit your post and change your photo arrangement from side to side to top & bottom. This makes the post easier to read by making it fit the screen better. On my home PC with a 17" x 10" screen The post was still wider and you had to scroll horizontally to read each sentence. Thanks Wes. Wilco in the future. I think what really amazes me is that with 5,000+ members and more than 65,000 posts covering more than a decade, I can't seem to search and find a clear answer. Am I really the first knucklehead to trip on this stuff? Tell me it isn't so! I really can't confirm that but you may be right!!! Actually you simply have not completed your research! 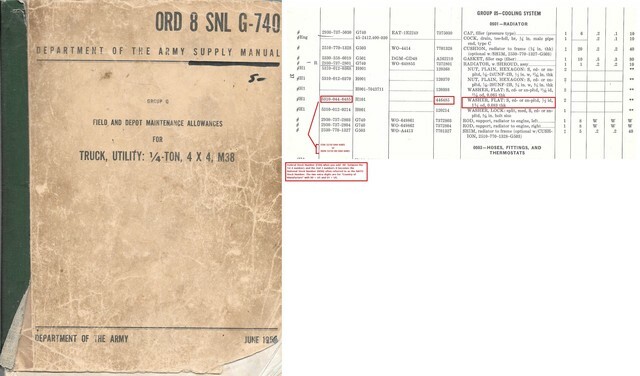 The answers you want are in several books, not just ORD 9 SNL G-740 dated 1955 or TM 9-8012 dated 1956. You have many more to let your fingers do the walking thru!!! To get as serious about your project as you do you cannot afford not to have these on your desk. The ORD 8 adds the sizes PLUS the FSN and/or NSN. as tolerance, fit restriction or application. dispose at the level authorized replace the item. cement, asphalt, building maintenance materials. Air Special Handling	ASH	Array	No special handling required. 5310-00-044-6485, A washer having a centrally located hole with a solid or laminated cross-section and two flat parallel bearing surfaces. the hole must be 75 percent or less than the largest dimension and the bearing surface finish is greater than 32 microinch (0.8 micrometer). the thickness cannot exceed 25 percent of the largest outside dimension. when the largest outside dimension is less than 1/4 inch or 6mm, the thickness must be 0.006 inches (0.15mm) or greater and for items 1/4 inch (6mm) or larger, the thickness must be 0.016 inches (0.4mm) or greater. the maximum tolerance is applied to dimensions and used as a determining factor. items with separable lamination use shim. for items fabricated from ceramic or electrically rated materials by specification or industry standards use insulator (1), washer. excludes disk, valve, graphite impregnated and lubricated items. Fund	SF – Stock fund applicable to items managed for the air force by the respective inventory control point. Price Validation	N – The current standard price in the catalog management data (cmd) has not been analyzed or coded for lp/lm. -the price has not been analyzed or reviewed for accuracy. -zop or standard price challenges are permissible, but must be supported with adequate justification. however, if coded for local purchase (lp) or fabrication/manufacture as indicated with an (lm) acquisition advice code of l" or "f", the case must be evaluated locally where purchased or fabricated." Fund	A two position code that classifies an item into categories in terms of funding and budgeting. Budget	Identifies investment items to budget programs from which item is funded. Material Management	Identifies an item of supply to be managed by a specific activity manager. Price Validation	Indicates validity of the recorded unit price. Accounting Requirements	X – Expendable item. an item of army property coded with an arc of ``x'' in the amdf. expendable items require no formal accountability after issue from a stock record account. 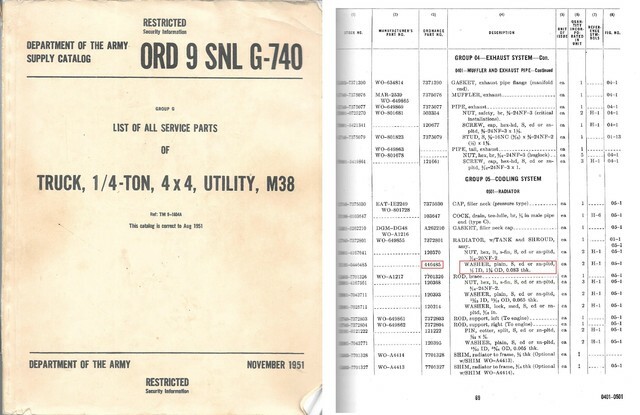 commercial and fabricated items similar to items coded ``x'' in the amdf are considered expendable items. Material Category 3	2 – Nonreparable items (exclusive of insurance and provisioning items). this code will be used to identify items which are not reparable. Accounting Requirements	Accounting Requirements Code (ARC): a one position alpha code that indicates the accountability of an item of supply. Material Category 1	Material category and inventory manager. Material Category 2	Appropriation and budget activity account. Material Category 3	Management inventory segment. Material Category 4 & 5	Specific group / generic category. Wes, as usual, your kindness and patience never fail to astound me. I'm embarrassed to thank you for spoon-feeding the baby! 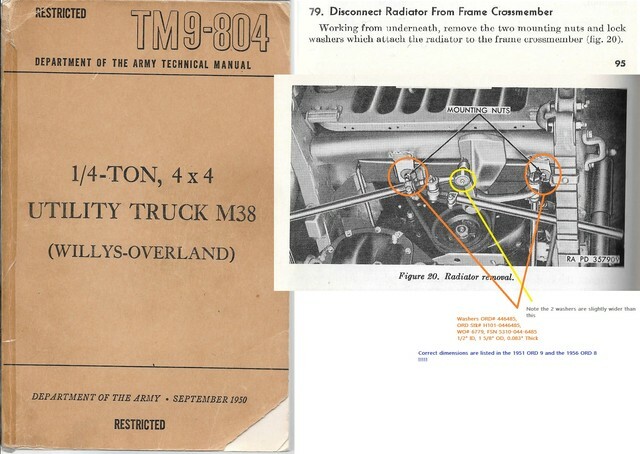 I down-loaded the November 1951 ORD 9 here, and located a copy of TM9-804 (September 1950). Still searching for a copy of the ORD 8. My apology for being lazy. Awesome! A post without a question!!!!! I sent you a link to all those pubs via your email addy.